If you like fast paced, simple yet exciting slot games, then this is the one for you. Starburst hails from NetEnt studios and they have outdone themselves with this one. We at Boku Slots think that the joy of Starburst is in the simplicity of the game. It has just 10 pay lines across 5 reels and an impressive RTP of 96.1%. 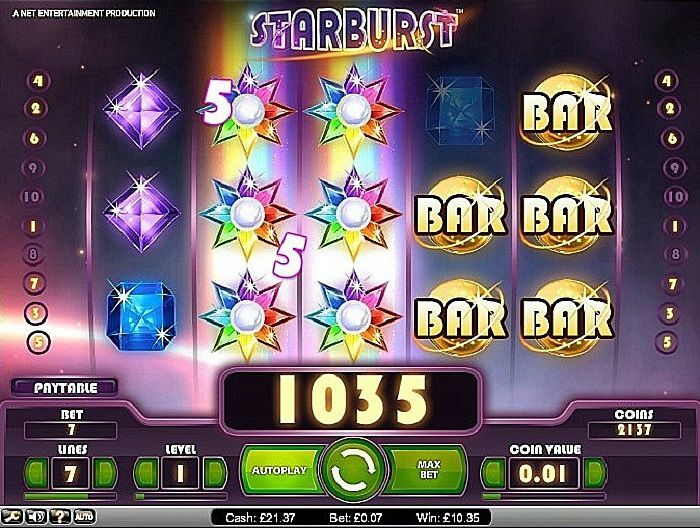 Aside from having just a single feature, Starburst slots is a colourful extravaganza that is enjoyable for any kind of player. It also has great graphics and a fabulous soundtrack that enhances your gameplay. The game only has a few symbols to match, which include sparkly jewels in blue, orange, purple, yellow, green and the traditional ‘7’, and bar symbols. Although there are only ten pay lines, the lack of symbols means the matches come up more often in the combinations required to win. Bet Amounts – Betting begins at just 1p and has a sliding scale up to 50p per spin. However, you can alter the level of each bet amount from 1 to 10, meaning your betting is even more adjustable and it gives you flexibility on how you spend your money. Wild – The wild symbols will only appear on reels 2, 3 and 4. Get a wild on any of these reels and you will get an expanding wild across them all. If you are lucky enough to get three wild symbols across your reels, then you will get the expanding ‘sticky’ wilds. This is where you could dramatically increase the chances of a significant win. ReSpins – Whilst the wild feature is in play you can trigger re-spins, which occur if a wild symbol appears on any of the other reels. You will also receive an additional spin for every other wild symbol, up to a maximum of 3 re-spins. 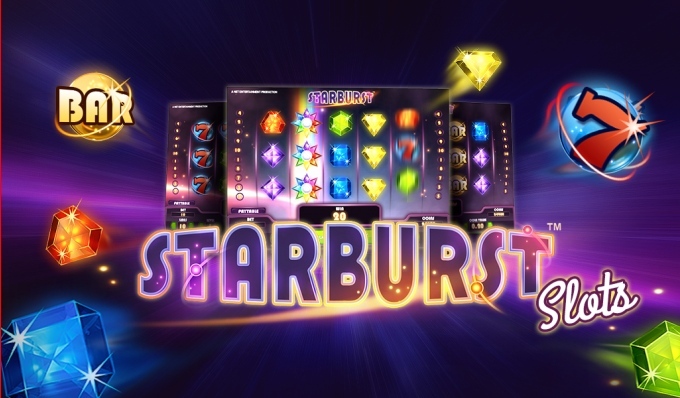 Multiway wins – One of the great features of Starburst is the fact that you can get winning combinations from either left or right. This means your chances are more enhanced than with other slot games. Whether you are playing on a budget or ready to play big, then Starburst is ready and waiting for you to join their already huge fan base. We love the fact that you can play how you want and that the game itself is easy to understand. The sheer simplicity of Starburst is why it appears to be so popular and this is definitely one of our favourite games to play.